MASON CITY – The daughter of Mason City Native Ty Green, Singing Star Jaianna Green, will perform the National Anthem at a mixed-martial arts event to be held this month in Mason City. 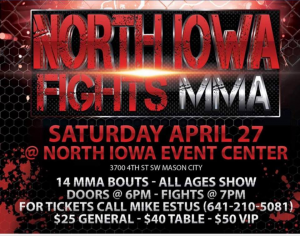 Jaianna Green has been asked to sing the anthem on Saturday, April 27th for the RCC Mixed-Martial Arts event to be held in Mason City at the North Iowa Events Center. Jaianna, now a 17-year-old senior at Cedar Rapids Kennedy, is the daughter of Mason City native sports star, Ty Green. She is a very active show choir member/soloist, an honor roll student, and enjoys spending time with her teammates and loving father. 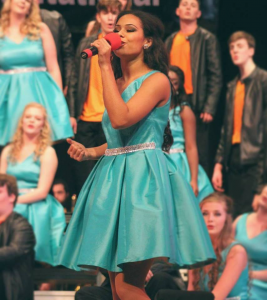 Throughout her years in show choir, she has received 11 best female soloist awards and was undefeated in show choir solo competitions in her middle school years. 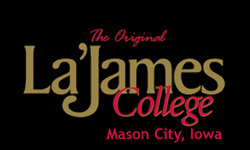 Jaianna was selected for the 2014 and 2015 Opus Honor Choir in Ames, Iowa. 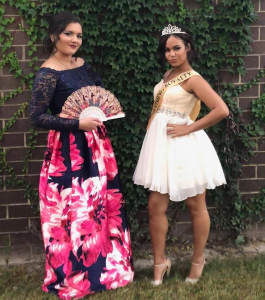 Jaianna was also named as the 2018-2019 Home coming Queen for Cedar Rapids Kennedy in Cedar Rapids Iowa. She has also sang the national anthem for various venues including The Double Tree Hotel, US Cellular Center for multiple events, the Marriott for the Big Brother Big Sister Program Fundraiser , Zach Johnson’s Elmcrest Country Club, Kirkwood College, the Ellis Festival, The Cedar Rapids Ice Arena for the CR Rough Riders Hockey Team, and many others. She has performed at the Riley Smith Festival at Newbo and was asked to perform with Riley Smith on stage for the Festival multiple times. 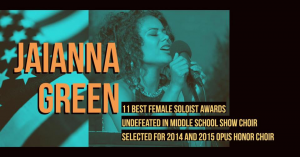 Jaianna was also a contestant on America’s Got Talent and and plans to audition for the Voice in the upcoming future. 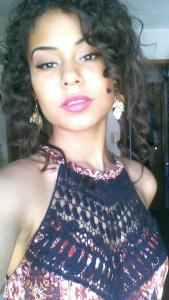 Jaianna has been offered many College scholarships and will chose her college soon. 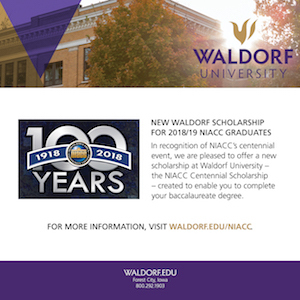 Watch Jaianna perform the National Anthem in Mason City in the All Seasons Building at the North Iowa Events Center on April 27th a 7 PM, when the event starts.